Research findings for surname: DAWSON originally of Amherst County, Virginia, for the period of 1758 – 1808. This information was extracted from various sources available at the LDS Family History Library, Salt Lake City, Utah. 4 Dec 1758 Samuel Taliaferro and John Burris for 4 pounds, 225 acres patented 16 Aug 1756, adjoining Martin Dawson, Secretary’s line. Witness: John Henderson Jr, Susannah Henderson, Charles Moreman. 11 Jun 1761 Martin Dawson to John Burris for 50 pounds, 399 acres south side branches of Buck Island Creek and Rivanna, adjoining John Carter, deceased. Witness: John Watkins, John Coleman, George Anderson. 12 Nov 1761 James Tuler to Martin Dawson for 4 pounds, 125 acres both sides of Ballinger’s Creek adjoining Epps. Witness: Samuel Hancock, Terisha Turner, Edward New. 8 May 1762 John Davis, Albemarle, to James Tulley, Sr of Albemarle, 57 pounds 10 schillings, 400 acres. Lines: Robert Davis, Jr. Witness: George Miller, Isham Davis, Edmund New, Martin Dawson (X). 6 May 1765 Charles Lynch, Bedford, to Martin Dawson for 4 pounds, 206 acres in 2 tracts. 1): 156 acres on Nuton’s Creek. Lines: Henry Gutrey, James Frost. 2): 50 acres on Newton’s Creek. Witness: John Dawson, Leonard Tarrent, Joseph Dawson. 25 Sep 1765 John Lyon to Terisha Turner, Albemarle, for 36 pounds, 100 acres. Lines: John Dawson, Terisha Turner, John Lyons. Witness: John Dawson, Charles Tedbet(? ), Martin Dawson. 2 Mar 1767 Charles Lynch, Bedford, to Martin Dawson, for 4 pounds, 337 acres on north side of Fluvannah on Nuton’s Creek. 1 Jun 1767 Gilbert Hay to Henry Rose for 10 schillings, 2 acres on Little Piney. Lines: Corner tree between Henry Rose and Duncan Cameron – part of larger tract. Witness: John Barrett, Martin Dawson, William Martin. 16 Jul 1768 Joseph Cruize and wife Agnes to William Gatewood Jr for 15 pounds, 290 acres south side of Buffalo and north side of Rocky Run. Lines: Colonel Joshua Fry, deceased. Witness: Samuel Murphy, John Phillips, Martin Dawson, Thomas Reid. 4 Jun 1770 William Whitesides to William Martin for 40 pounds, 200 acres on north fork Davis Creek. Lines: William Trottier. Half of a tract bought of William Wright. Witness: Joseph Megann, Martin Dawson, James McNeel. Signed Whitesides, but clerk has inserted name of William Whitsett. Elliner, wife of William. 9 Nov 1772 Samuel Hancock to Martin Dawson for 100 pounds, 277(5?) acres top of Smith’s Mountain and coves on side of same. Lines: William Cabell Jr, Joseph Ballinger and William Cabell. Witness: William Dawson, Nathaniel Hill, Joseph Dawson, Robert Dawson. 1 Mar 1773 Martin Dawson to his son, Thomas Dawson, a gift of 174(5?) acres. 3 Oct 1774 Martin Dawson to John Franklyn for 80 pounds, 368 acres. Lines: Thomas Dawson, Nuton (Newton). Witness: John Thurmond, George Penn, John Dawson. 30 Sep 1775 Daniel Burford Sr to Daniel Burford Jr, for 50 pounds, 95 acres. Lines: George Carrington, Daniel Burford Jr, Hugh Rose, Samuel Thomas, John Burford, Martin Dawson. Witness: Daniel Gaines, Gabriel Penn, John Ritchie, Ambrose Rucker. 30 Sep 1775 Daniel Burford Sr to Daniel Burford Jr for 50 pounds, 95 acres. Lines: Samuel Thomas, Martin Dawson, Harris Creek, John Burford. Witness: Daniel Gaines, Gabriel Penn, John Ritchie, Ambrose Rucker. Mary Parks, widow and Executrix of William Parks, Deceased granted Administrator on his estate with Martin Dawson and Joseph Tucker, Security. 3 May 1779 John Dawson and wife Charity to Martin Dawson for 300 pounds, 236 acres on Harris Creek. 2 Oct 1780 George Carrington, Cumberland Co, to Martin Dawson for 4 pounds, 343 acres on Harris Creek. Lines: Daniel Burford, William Miller, Richard Shelton, Isaac Wright, White Oaks. Witness: John Ownby, James Ownby, Zachariah Dawson. 2 Oct 1780 George Carrington, Cumberland Co to John Ownby for 18 pounds, 12 schillings, 2 pence, 290 acres on branch of Harris. Lines: Richard Shelton, part of 6750 acres patented to grantor 20 Jun 1753. Witness: Martin Dawson, Zachariah Dawson, James Ownby. 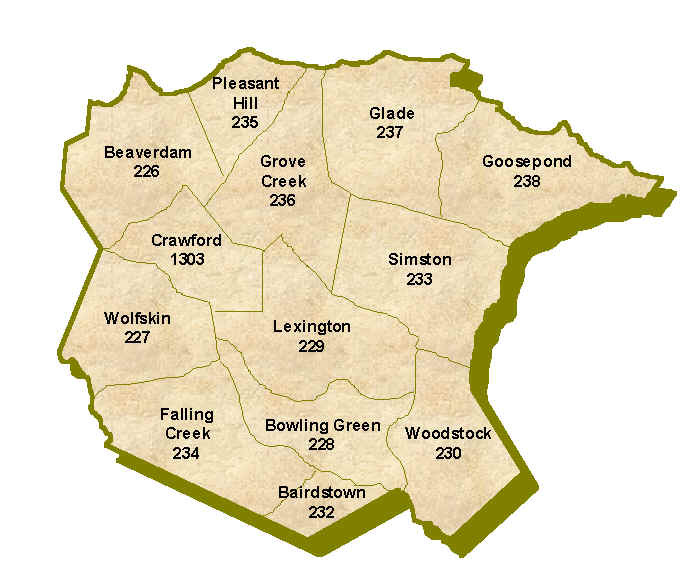 2 Oct 1780 George Carringotn, Cumberland Co, to Archelaus Cox for 20 pounds, 200 acres. Witness: Martin Dawson, Zachariah Dawson, John Ownby. 6 Nov 1780 Martin Dawson to Richard Shelton for 225 pounds, 76 acres on Harris Creek. 1 Nov 1784 Mauris Gilbert to Benjamin Rucker for 175 pounds, 470 acres south branch Rutledge and Buffal0. Part of 1100 acres belonging to Henry Gilbert, deceased. Lines: Richard Gatewood, Park’s road, Megginson’s road, Henry Gilbert. Witness: Thomas Powell, Richard Harrison, Wiatt Powell, Martin Dawson. 18 Jan 1786 Zachariah Dawson to Lucy Rucker. 11 Feb 1786 John Sorrell Dawson to Jane Lyon. 6 Mar 1786 Pleasant Dawson to Sary Turner. 13 Aug 1786 Susannah Dawson to Richard Adams. 7 Mar 1791 Pleasant Dawson to Sarah Christian. 15 Dec 1791 Jesse Dawson to Sally Turner. 17 Jul 1792 Rhoda Dawson to Thomas Pettus. 7 Aug 1792 Betsy Dawson to Reuben Rucker. 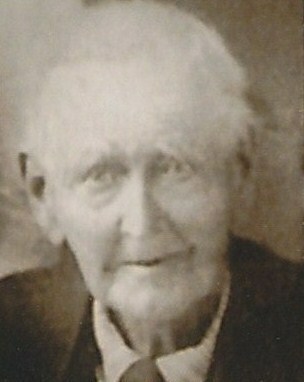 Father of Reuben, Isaac Rucker. Father of Betsy, Martin Dawson. 10 Sep 1792 Jones Reid to Milly Dawson. Jones Reid, widower. Milly Dawson , daughter of Martin Dawson. Witness: Owen Haskins, John Franklin, J Dawson. 17 Dec 1792 Mary Dawson to William Steele. Consent of her mother Charity Dawson. Certificate of marriage: Reverend Mr. Dameron. 29 Sep 1794 John Phillips and wife Sarah to Samuel Anderson, Albemarle for 160 pounds, 359 acres north branches Buffalo. Lines: William Cabell Jr, William Phillips, James Savage, Smyth Tandy, William Layne. Witness: Jeremiah Phillips, William Phillips, Martin Dawson. 18 Oct 1795 Martin Dawson to Milly Cox. 22 Nov 1795 William Harris Diggs to William Lyon for 20 pounds, 89 acres. Lines: William Lyon. Witness: Pleasant Dawson, Martin Dawson, Matt Harris. 1 Feb 1798 Martin Dawson and wife Elizabeth; Jesse Dawson, their son to Daniel Burford Sr for 125 pounds, 92 acres on Harris, where Jesse Dawson lives. Lines: Harris Creek, at mouth of Miller creek, old line between Martin Dawson and John Waters, Henry Gosney, Valontine Cox, Miller’s Branch, Philip Burford, grantee. Witness: Nelson C Dawson, Zachariah Dawson, William Burford. 11 Mar 1799 Susanna Dawson to George Tinsley. Thanks for putting this all together. The Dawson Family genealogy is a muddle. This clarifies a lot of things – both Martin and his son Martin, married Elizabeths. Now, who was the first Elizabeth, mother of Nelson, Jesse, et al? This Martin (1722-1812) is a 6th great grandfather of ours. His son, Martin (1744-1821), who married Elizabeth Carter, continues our line, as does their daughter Elizabeth.